Forest Garden Pickering Log Cabin 4.0m x 2.8m: The Pickering Log Cabin by Forest Garden offers an interesting and unique corner cabin solution perfect for awkward garden spaces. The Forest Garden Cabin is a multi-use building ideal for a garden office, dining area or tranquil retreat perfect for relaxing and also features a separate integrated storage area. 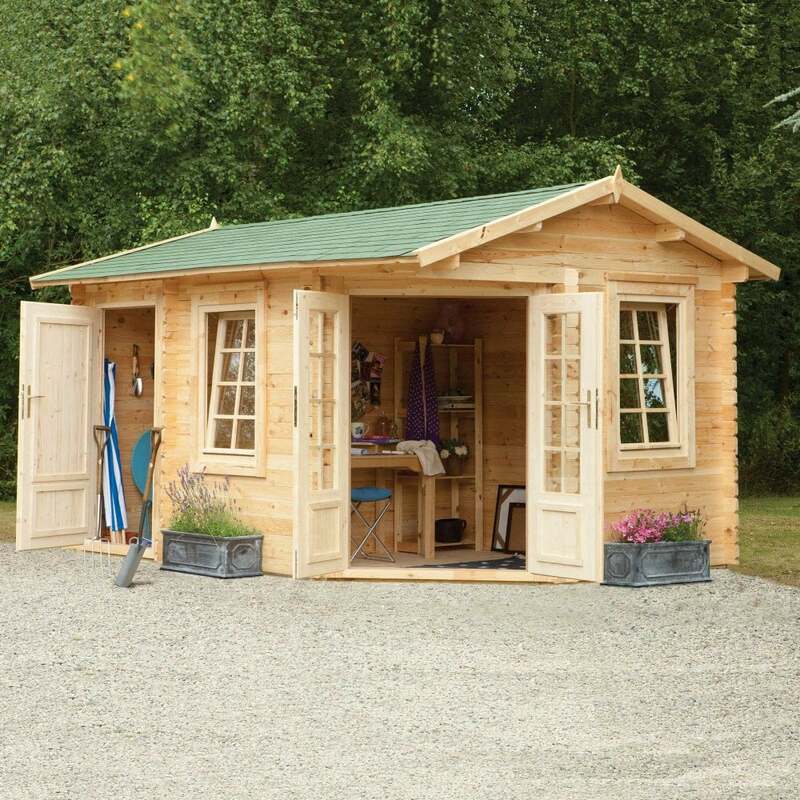 The 4.0m x 2.8m Log Cabin is manufactured with kiln dried 34mm machined logs and 19mm tongue and groove roof and floor for a sturdy structure. The Forest Garden Cabin features a traditional apex style roof and includes green fleck rectangular roof shingles for an attractive design and to protect against rain. The Pickering Log Cabin features double glazed doors to allow plenty of light and ventilation into the building and two opening windows, all with Georgian-style bars for a traditional design.